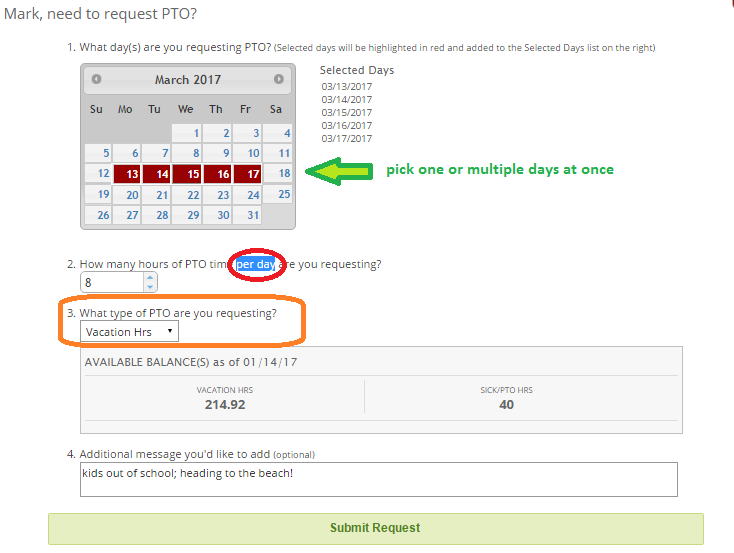 PTO requests can be submitted for one day, selected days, or multiple days. For multi-day requests input the hours per day you are requesting not the total sum for all days - HUB will do the math. If a change is required after an employee has submitted a request; they should alert their manager and ask them to deny the request. If a manager has already approved the change, the manager can delete the hours from the employee's time sheet(s) to remove the request.